This Glenfiddich is made by the Solera system. 3 different types of casks are put together in a vat and the outcome is this 15 year old Solera. Let’s remember that it is a minimum of 15 years, and in this particular whisky there may be some very old whisky in it. The smell is dark. Wood, sherry comes to mind in a dry way. The taste is well put together. Raisins, dates and honey. The finish is a bit sweeter, but sadly it is over very fast. But just before it leaves I get the impression that I taste an old leather armrest. I give this whisky 83/100 (21/22/20/20), but with a better finish it would definitely had reached higher. I think that just 3 or 6 % higher ABV would do the trick. 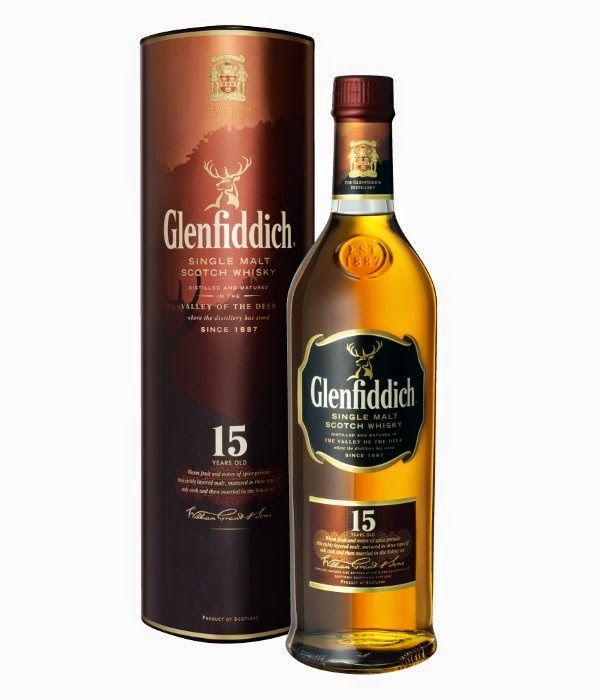 So if Glenfiddich listen in, don’t water this whisky down to 40 %! And that goes as well for the 14 year old Rich Oak.